Good evening, I'm Kingcat, part time golfer, full time golf equipment procurer. 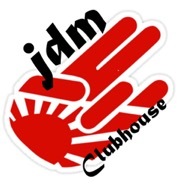 I've been dabbling in the JDM for a few years now. I heard about this site from a fellow member on Wrx. I came here mostly to discuss and trade/sell in the top enchelon of golf equipment crafted and forged by the finest steel smiths on the marble. I'm fond of the MB's, and fancy a few CB's from time to time. I look forward to getting to know you fine people on this corner of the internet. Welcome. I've noticed your handle on Wrx. It's more hard-core jdm here I think. Welcome. I think you will find that the opinions here are very honest. Great guy here, folks. Welcome, N! Kingcat, welcome, glad to have you here!